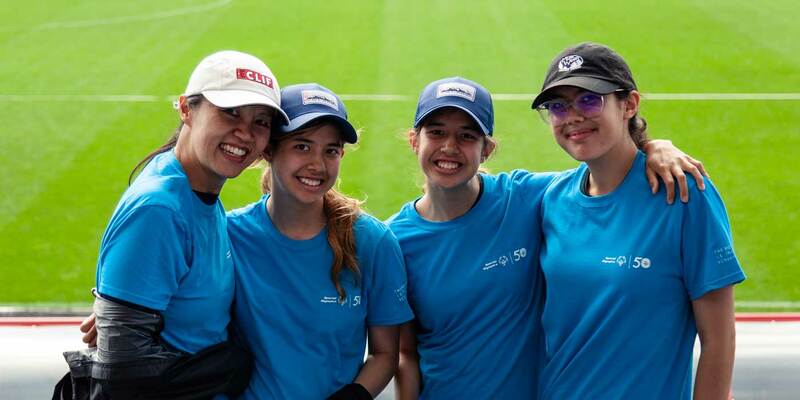 For Stephanie Wu, one of the personal trainers in the fitness center at Clif Bar headquarters, attending the 50th Anniversary of Special Olympics in Chicago this past summer with her three daughters had a very personal meaning. Two of Steph’s daughters, 17-year-old twins Jasmine and Madison, have intellectual disabilities. 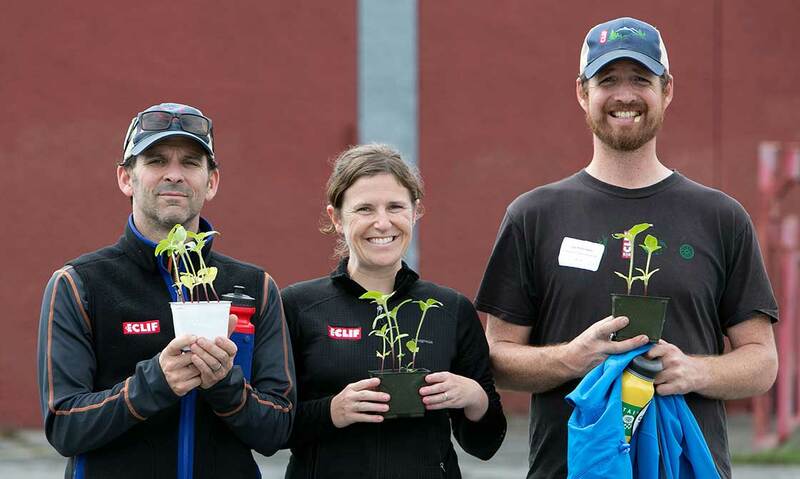 So, when Clif Bar, a first-time Special Olympics sponsor, offered her time off to volunteer at and experience the organization’s 50th Anniversary competition firsthand with her daughters, Steph didn’t hesitate. Neither windy, cold weather nor pouring rain dampened the enthusiasm of Steph and her daughters as they stood outside for more than an hour to watch hundreds of Special Olympics athletes run by during a torch run to help launch the 50th Anniversary events. “It was very moving to witness the intellectually disabled athletes coming in,” said Steph, whose twins run track in high school. The Special Olympics events in Chicago went beyond anything the organization has done before. 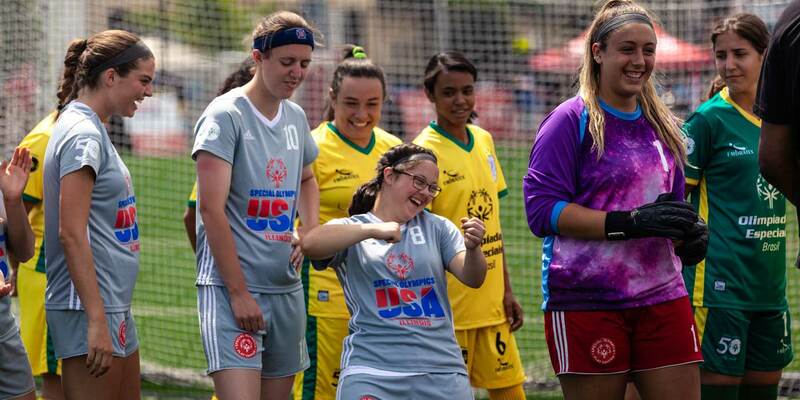 It was also the first-ever Unified Cup, featuring 24 female and male soccer teams from around the world comprised of players with and without intellectual disabilities. The competition, which involved 300 athletes, celebrated the progress toward inclusion the Special Olympics has made in the past 50 years, and the other events pointed toward an even more inclusive future. For Steph and her twins, inclusion in sports has been an uphill battle. 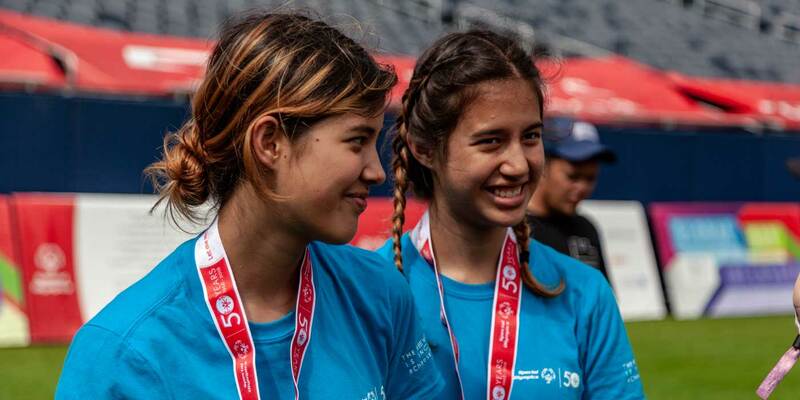 When Jasmine and Madison first tried out for the girls’ high school track team — as the only two girls with intellectual disabilities — their coach had them sitting on the bleachers during practice, walking around rather than running and training with the rest of the team. “It’s not uncommon for a lot of adults to give up on them. And since they’re twins, people don’t see them as individuals,” Steph said. That changed after the first track meet, where Madison shocked many by coming in second in the 200 meters. “Their coach now says they have the strongest work ethic she’s ever seen,” Steph said. Steph acknowledges it can be hard for coaches, teachers, and others to fully understand how to relate to Jasmine and Madison. They can be shy and quiet, or overly talkative and not recognize social cues. Their gross motor skills aren’t 100 percent. Their reading and math comprehension is at the third-grade level. Speaking and reading can be slow and laborious. “They learn more through experience than through books,” Steph noted. And experience they do, often inspired by their older sister Emma, 19, who is a standout college student and NCAA fencing champion. Emma fenced, so the twins fenced. Emma ran track, so the twins run track. The twins also ride horses, each have a dog, take both mainstream and special education classes, and have part-time jobs at a grocery store. Ask the twins directly about their Special Olympics experience, and you get short but positive responses like “good” and “cool.” But Steph said she knows the event reached them more deeply. The thousands of athletes with intellectual disabilities, empowered through sports and inclusion, made their impact on the girls. Together, we can overcome the fear of difference through the power of inclusion. Join us and sign the Inclusion Pledge from our friends Special Olympics.